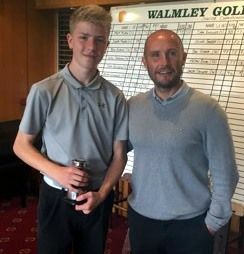 Last weekend saw seventeen Juniors take to the course for the 2018 Walmley Junior Championships. 36 holes over 2 days for the four trophies. 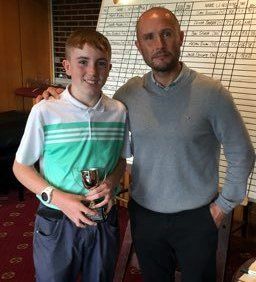 Sam Knowles took the Under 14 gross prize and Ben Storer the Under 14 nett. 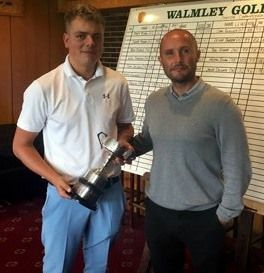 But the main gross trophy, The Frank White, was won by Junior Captain Joe Moore. His first round gross 79 was always going to be difficult to catch and in the end he finished 5 shots clear of the field. 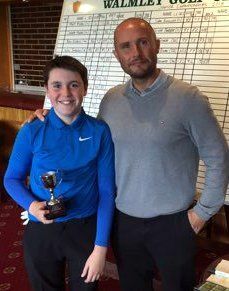 This is made even more special as, after years of trying, Joe has finally won his first trophy at Walmley. A month before he leaves the juniors as he's now too old! Congratulations to Joe and many thanks to all who made the weekend another great event.